The YOU@RedRocks portal is a free resource to help Red Rocks students thrive, matter, and succeed on campus. Take a look! For mental health emergencies or referral services from anywhere in the state of Colorado, call the Colorado Crisis & Support Line at 1-844-493-TALK. IF YOU ARE IN IMMEDIATE DANGER, ALWAYS CALL 911 FIRST. If you are having a Mental Health Crisis, please call the Colorado Crisis and Support Line at 1-844-493-8255. Life stresses may sometimes interfere with academic success. RRCC partners with Jefferson Center for Mental Health (JCMH) to provide behavioral health assessment, short-term counseling (up to 6 sessions per semester), and referral at no cost to its current students. Services are now located within the Student Health & Counseling Center at the Lakewood campus and once a week by appointment at the Arvada Campus. The Healthy Minds Resource Center promotes healthy student emotional well-being by providing peer support through Private Peer to Peer counseling, Stress relief activities, Meditation, Campus and Community resources, & a safe non-judgmental space that is focused on mental health & emotional well-being. Our Peer coaches support students in realizing their own wellness goals through a positive learning environment and by providing lifesaving resources. 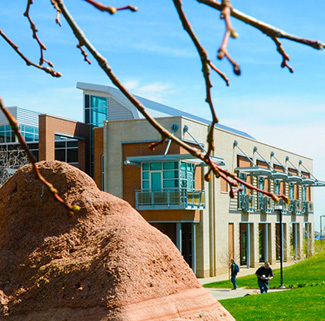 The Peer Counseling Program supports the mission of the Healthy Minds Resource Center by providing private peer to peer coaching, leading Healthy mind activities, and providing lifesaving resources to the students of Red Rocks Community College. To reduce the mental health stigma in order to create an open dialogue about mental health on the Red Rocks Community College Campuses by offering the following services to their students. A safe, non-judgmental place to hang out with other peers. 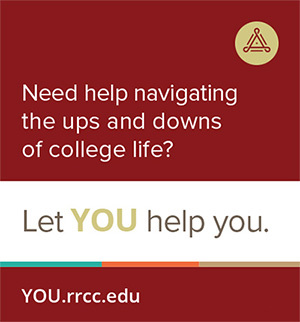 Red Rocks Community College also has a Peer Counseling Program. You can meet with a trained Peer Coach throughout the semester, to set up an appointment contact 303.914.6185 or email us at peercounseling@rrcc.edu. The purpose of your first appointment (about 50 minutes) will be to gather information about your current concerns and decide on a course of action. You will be asked to complete a few brief forms, and then talk to the BHS counselor about your situation and goals. During this time, you are encouraged to express your feelings honestly and ask any questions you may have. After the interview is complete, you and the BHS counselor will decide on next steps. You might find that a few sessions with the counselor will help you get back on track, or that your needs will be better served by other providers. If you and the BHS counselor decide that your goals can be accomplished in 6 sessions or less, you will set up the next appointment at the end of the initial interview. During future sessions, you and the counselor will decide on a plan of action, identify things to work on between sessions and evaluate your progress to see whether the sessions are helping. In some cases, you may be referred to additional services in the community that are available on a sliding fee scale. If you need to cancel an appointment, please do so at least 24 hours in advance, whenever possible. Call 303.914.6655 and leave a message, including your name, appointment time, and phone number. In the event of bad weather, please check the Red Rocks Snow Closure site or call 303.914.6100. If RRCC is closed, your Behavioral Health Counselor will contact you when the campus re-opens to reschedule your appointment. Anonymous online mental health screenings are a quick way to determine if you or someone you care about may need to reach out to a doctor or mental health professional for an evaluation. Screenings are available for alcohol and substance use, depression, PTSD, and other mental health concerns. These are educational, not diagnostic tools. Each screening takes only a few minutes, and at the end, you will be presented with information and next steps.